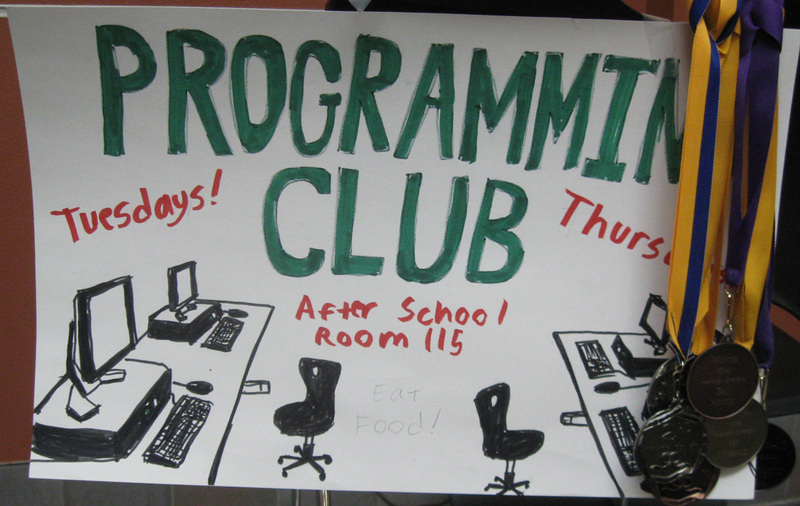 Programming Club is a center for computer enthusiasts, programmers and people who aspire to be either of the two. 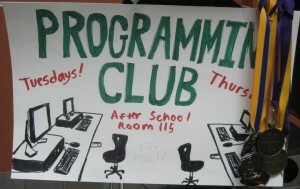 This fantastic club is always accepting new members regardless of programming/computer background. We are avid supporters of Linux, Gnome, and Open Source software in general. Meeting Activities: At regular meetings we program a variety of different thing in various languages including Python, Java, C, Lisp (and dialects). Furthermore, we are open to and interested in learning new languages to meet the needs of new projects. Time of meeting: Our official meeting dates are Mondays after school, but students frequently meet in the 115a during lunch as needed. Are posted on the GarfieldCS.com homepage. If you know any new events please send them to Mr. Bergquist at embergquist@seattleschools.org . Thanks. CodeDay – fun learn to create a project in 24 hours Hack-a-thon Check it out! PLU Programming Competitions in February each year.